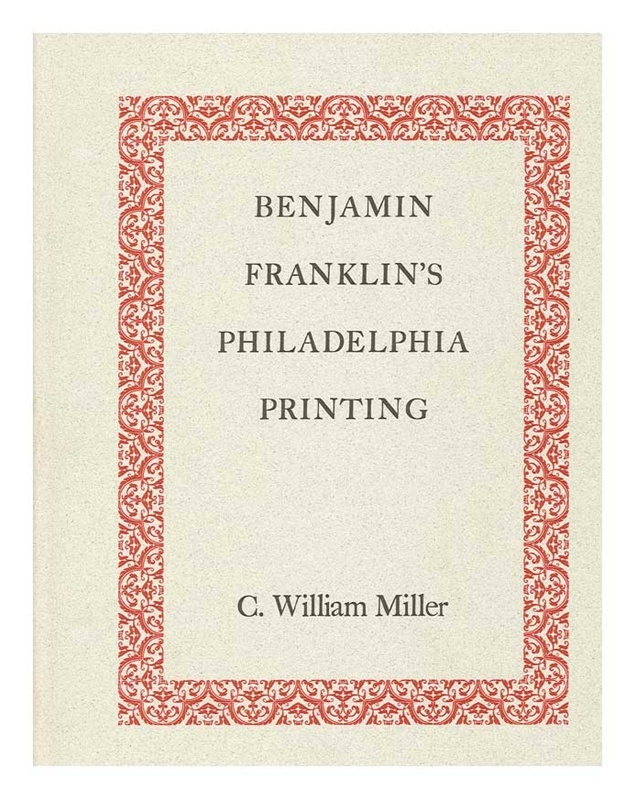 Benjamin Franklin was Amer.’s best-known printer before the Revolution. His printing house was one of the most influential in all the Brit. colonies in the 18th cent. This authoritative book presents in chronological order bibliographically accurate descriptions of the more than 800 items from broadsides to books printed by Franklin or by the partnership of Franklin & Hall. Loans of rare books have enabled Miller to present by accurate photo-engravings the title pages of all the books known to have been printed in Amer. by Franklin. Also lists more than 600 pieces of job printing by Franklin, & another 100 items erroneously ascribed to the Franklin shop. 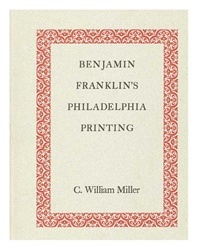 Includes a summary account of Franklin’s career as a printer in Phila., & indiv. essays on his dealings with the Brit. type-founders, the colonial Amer. papermakers, & the Penna. & New England bookbinders. The appendices include specimens of Franklin’s distinctive first type fonts & pictorial reproductions of his stock of decorative ornaments & of rubbings of binders’ tools found on leather-bound vols. bearing his imprint.